Thu, Jan 26, 2017 New York, N.Y.
On January 26, 2017, the Manhattan Institute hosted a luncheon featuring Kay Hymowitz to talk about her new book, The New Brooklyn: What It Takes to Bring a City Back. Only a few decades ago, the Brooklyn stereotype well known to Americans was typified by television programs such as “The Honeymooners” and "Welcome Back, Kotter"—comedies about working-class sensibilities, deprivation, and struggles. Today, the borough is home to trendsetters, celebrities, and enough "1 percenters" to draw the Occupy Wall Street protests across the Brooklyn Bridge. 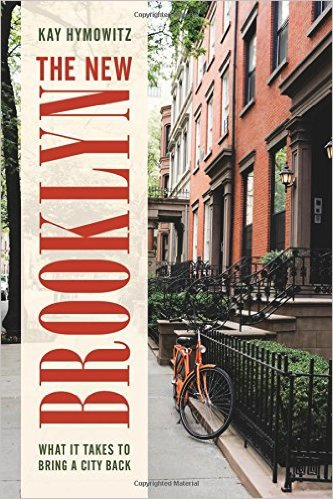 In The New Brooklyn: What It Takes to Bring a City Back, the Manhattan Institute's Kay Hymowitz deftly chronicles the dramatic transformation of the once crumbling borough. Devoting separate chapters to Park Slope, Williamsburg, Bed Stuy, and the Brooklyn Navy Yard, Hymowitz identifies the government policies and young, educated white and black middle-class enclaves responsible for creating thousands of new businesses, safe and lively streets, and one of the most desirable urban environments in the world. She also explores the considerable challenges that Brooklyn’s poor black and immigrant communities still face. Kay Hymowitz is the William E. Simon Fellow at the Manhattan Institute and a contributing editor of City Journal. Her books include Manning Up: How the Rise of Women is Turning Men into Boys and Marriage and Caste in America: Separate and Unequal Families in a Post-Marital Age. She holds a B.A. from Brandeis University and an M.Phil from Columbia University.